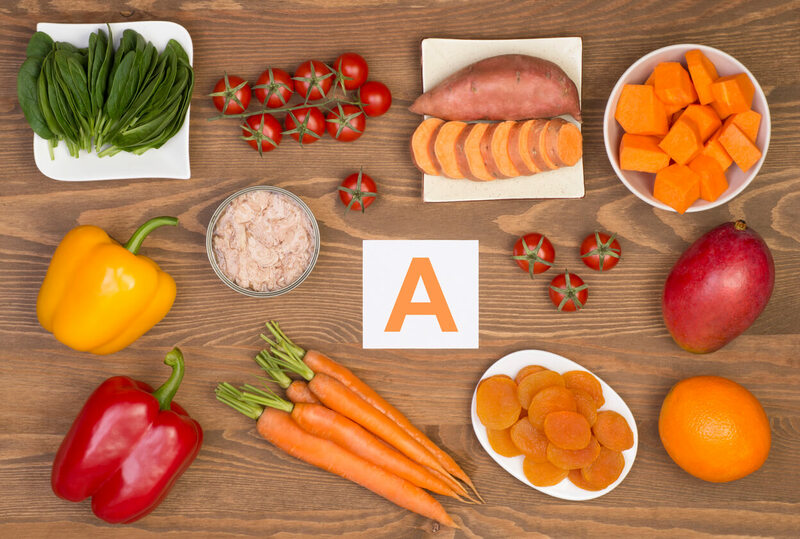 What is Vitamin A and why is it Important For Skin Health? Vitamins are necessary for maintaining beneficial layers of skin health in order to gain the best look and function with the best confidence you’ve ever had. Consuming a nutrient-dense diet, taking vitamin supplements, and utilizing the right topical products containing vitamins can all be well worth your time and money. Furthermore, in helping your skin to achieve its best, vitamins can also play a role to administer a number of skin conditions. For example, acne, psoriasis, and the negative unwanted effects of photoaging. 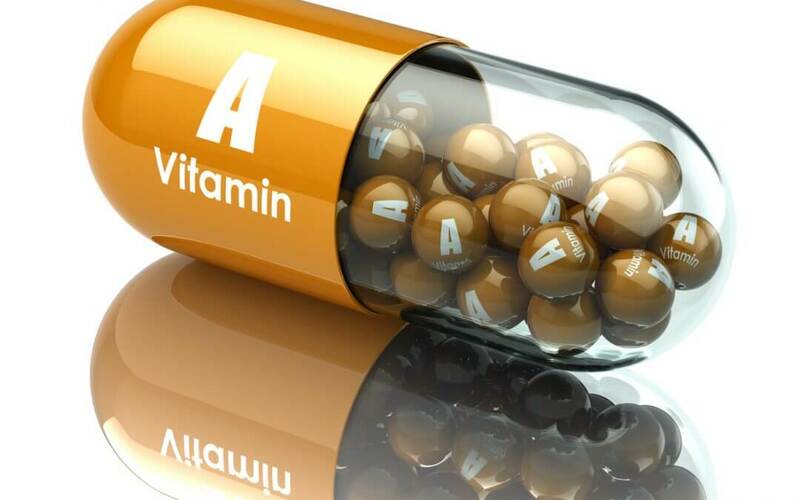 Vitamin A is a fat-soluble vitamin that additionally acts as a strong antioxidant within the body. Vitamin A is a vital nutrient that lends a hand with our skin, eyes, sexual health, and protecting against diseases, which is known as the immune function. For those who don’t know, there are two specific kinds of vitamin A: retinoids (preformed vitamin A) and catenoids (proformed vitamin A). Both kinds are transformed to retinol by the liver. It’s usually accumulated or delivered by the lymphatic system to cells throughout the body. The lymphatic system plays the role of the elimination of interstitial fluid from tissues. It soaks up and delivers fatty acids from the digestive system. It also delivers white blood cells to and from the lymph nodes into the bones. As mentioned, vitamin A has two kinds: retinoids and carotenoids. Both kinds are easily accessible through an extensive range of vigorous and healthy foods, and consuming foods including vitamin A is noted as the more effective method to get it into your body. Retinoids are also good for acne and photoaging when placed topically on the skin. Retinoids can have specific symptoms when not utilized in the right manner or utilized excessively. Make sure to talk to your esthetician about your use of vitamin A and your goals for your skin’s appearance. Besides Vitamin A, getting plenty of sleep, eating a proper and nutritious diet, and drinking plenty of water is significant for sustaining proper skin health amongst all age groups. In addition, it is quite significant to shield skin from too much sun exposure and to be aware and check your skin on a consistent basis for irregularity, such as transformations in moles. Keeping your skin away from environmental toxins, such as cigarette smoke, also assists to sustain its vivacity. Usually recommended by skin specialists to battle acne and wrinkles, vitamin A is respected for its formidable skin-producing effects. Studies have shown that placing retinol topically on the skin effectively repaired fine lines and wrinkles, and in addition amplified the skin’s capability to endure abrasion. Due to its anti-inflammatory effects, such as retinaldehyde, vitamin A can additionally be utilized in the treatment of an extensive range of skin issues. Evidently, studies have displayed that retinoids can be a remedy for typical skin concerns like psoriasis, eczema, and acne. Distinct from many other nutrients, vitamin A is a cluster of elements that contains its active types (retinal, retinol and retinoic acid) and other provitamin A carotenoids, like beta-carotene. Beta-carotene (and the other carotenoids) is the type of vitamin A that we get right from the plant foods we consume. The pre-made or active forms are discovered in animal foods. In our bodies, beta-carotene is converted into the retinol form of vitamin A. Overall, catering to your skin and taking care of your skin is a part of many peoples health regime and should be in order to have healthy skin. After all, it is essentially your body’s biggest organ, whether you believe it or not. Many people don’t see the skin as an organ but it is. When it comes to tissue repair and cell regeneration, getting enough vitamin A in your diet is key. Besides being vital to promoting proper skin health, some evidence even suggests that this vitamin could aid in wound healing as well.